Sensoneo provides smart enterprise-grade waste management solutions for cities and businesses to cost-efficiently manage the waste lifecycle and improve the environment and well-being of people. 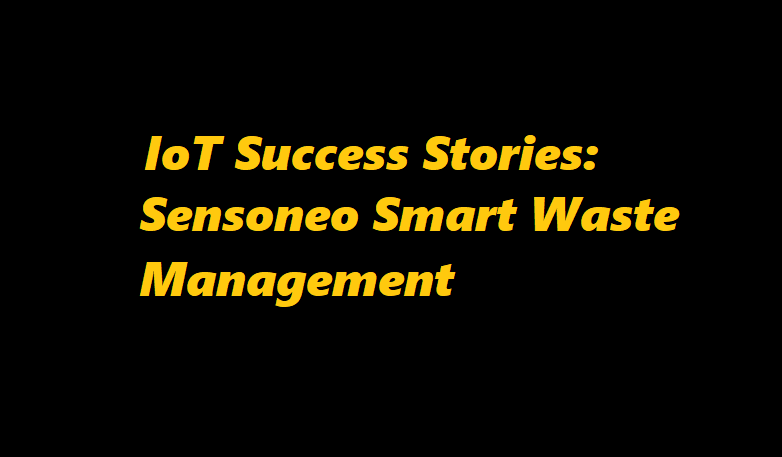 Through its unique smart waste management technology, Sensoneo is redefining the way waste is managed. The solution combines unique ultrasonic Smart Sensors that monitor waste in real-time using IoT or GSM with sophisticated software (Smart Analytics, Smart Route Planner and Smart Management system) providing cities and businesses with data-driven decision making, and optimization of waste collection routes, frequencies and vehicle loads, resulting in overall waste collection cost reduction by at least 30% and carbon emission reduction up to 60% in cities. Sensoneo analytics and reporting tool allows users to acquire “Big data” and make data-driven decisions. The tool prepares various types of statistics, reports, and measurements related to monitored bins and their content, pick-up analyses and collection route analyses. Citizens have access to data from Sensoneo Sensors via a free mobile app by Sensoneo – Citizen App. The app informs about waste levels in all monitored bins and enables users to find the nearest available empty bin for specific waste types including directions to the bins. The app is available worldwide on Android and IOS platform in English, Arabic, and other languages.